As blockchain-backed services move to embrace the masses, one startup aims to serve the fast-growing community of enthusiasts, followers, experts, investors and engineers who have yet to find a “go-to” place. 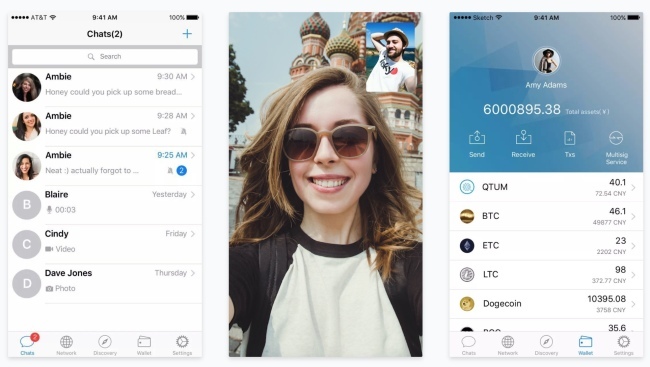 China-based BeeChat is the first blockchain-based messenger app that also provides cryptocurrency distribution channels and other functions for the fast-growing industry. Built on QTUM, a decentralized blockchain application platform developed by Singapore-based QTUM Foundation, it has attracted 10 million registered users since its launch in October. BeeChat, whose nickname is Little WeChat, offers chat functions that can facilitate up to 30,000 people in a single group, audio messaging and video call services. It also runs a media platform. Available in 30 languages, a digital wallet is integrated so that users can easily store, receive and send 12 major digital currencies in real time to other users. It also has a blockchain-based gaming platform “CryptoPuppies,” which is an interactive game where users can collect, adopt, breed and trade virtual puppies over a blockchain network via smart contracts. Part of CryptoPuppies’ aim is to help new users familiarize with the workings of blockchain and smart contract transactions. For industry leaders, Beechat offers initial coin offerings and airdrops to connect with fan bases, while for developers, it provides services such as third-party developer tools, data tracking and analytics among others. Many of the underlying services offered are based on blockchain technology, such as the ones used to map interrelationships and social connections between users, the company said. BeeChat, which recently launched a Korean version, will have an official launch event in Seoul on June 30.